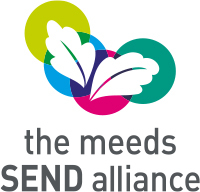 The arrangements for the admission of pupils with Special Needs or disabilities to gain admission as pupils to London Meed School fall within our duties under the Equality Act 2010 and are the same as those applied to all pupils. Admission is in the first instance arranged by application to the Local Education Authority. If successful, London Meed School then receives notification that a child has been allocated a place at London Meed School. London Meed will take steps to prevent disabled pupils from being treated less favourably than other pupils. We will use our best endeavours to ensure that no child is unable to attend London Meed Primary because of any special need or disability. In order to promote equality of opportunity for disabled children we will make reasonable adjustments (including the provision of auxiliary aids and services) to prevent them being put under a disadvantage. Children’s disabled toilets and one adult disabled toilet. Please also see the Accessibility Policy.